The idea that a business needs to treat its customers well and understand their tastes and habits is so obvious it seems hardly worth stating. But oddly enough, many big companies fail in this area. Fundamentally, you’re in business to utilize the assets you have to generate a positive return on the investment made by your shareholders. To accomplish this, you sell a product or service to your customers and hopefully earn a profit on each transaction. It’s really that simple. So why do many companies take their customers for granted, or even treat their customers as annoyances? As businesses have grown dramatically — in numbers of customers, products, services offered, and geographic markets — data and reports have increasingly become the primary tools for calibrating results and making decisions. To augment performance data, almost all companies use various forms of customer research, surveys, focus groups, mystery shoppers, and other techniques. These findings are informative, but often consist of aggregated data and use sophisticated statistical techniques to infer or explain what is going on with customers. While not inaccurate, this information is missing the tactile, personal element of the business itself — the basic and critical relationship between the company and its customer. When Macy’s opened its first department store in Herald Square, all the executives had their offices on the top floor of the building and were constantly walking the sales floors. They knew firsthand what products were selling and what their customers were saying. As the chain grew to hundreds of stores, it became virtually impossible to maintain that intimacy. Yet, that is exactly what leaders must do — put themselves in the shoes of their customers. Although customers tend to stay with the companies they are used to dealing with, this doesn’t always mean that they like the experience associated with dealing with that company. It could just be that they’re not sure there is something new or better that warrants making a change. If a competitor provides them with a great offer, they may try it. If they like the new experience, then they’re most likely not coming back to their old company. And here is something really interesting—when that happens, no one in headquarters either knows or cares—it’s lost in the numbers. Sometimes when I listen to leaders talking about their customers, it almost sounds as if they “own” them, and they are confident they will stay forever. The truth is, no one owns customers and you have to earn their trust and respect every day. And that is why you have to be connected with them, communicate with them regularly. The people on the phone with your customers represent your company. A customer’s experience on the phone — whether it is in the normal course of business, or whether you are surveying your customers to gauge their level of satisfaction — is critically important to your business. Compare it to the treatment diners receive from waiters in a restaurant: good service means more customers, but poor service means you may not be in business for long. It is essential for you to get out of your office and go to visit the places where your customers interact with your employees – whether it is a call center or a retail store. But don’t just go through the motions. You’d be better off doing nothing (or going bowling) than to go on a superficial visit. Unless you really let your hair down, and get in there — ask, look, engage — you will never discover what is really going on. Don’t think of your visit as a guided tour; don’t just go to the area or department that your host wants to show you. Your mission is to look behind the curtain. The more a visit is choreographed, the less realistic it is, and therefore the lower its value. When you make visits to a store, you do not have to pretend you are not an executive. But you might just dress down a bit, to put everyone at ease. You are just there to observe—maybe help a salesperson put the shirt in the bag. Listen to your employees talking to the customers and make mental notes when customers are complaining about how you don’t have the color or size they want. Then you can talk to your employees and find out what they think about the various issues at that store — about what is working and more importantly, what needs to be changed. Do unto others is an old adage, but it is rarely thought of in the context of company leaders and customers. The person at the very top of the organization should know what it is like on the other side of the exchange. For example, if you are the CEO or an exec of a chain of shoe stores, it would behoove you to wander into one or your stores on a regular basis and (anonymously) buy a pair of shoes, to see what the experience is like. It’s like spending the night in your own guest room. How else can you ever really know what your guest’s overnight stay is like? Connecting with your customers is an interesting, rewarding, and fun process—you are meeting with people who buy your stuff, and presumably are more happy than unhappy about what you offer them. Be open, let your hair down, and engage with them to find out: what they like, what they don’t like, what they would change, what else they would like you to offer, what annoys them about what you do, etc. You’ll be amazed at what you learn — and I promise you this: you will learn more than you could ever imagine. 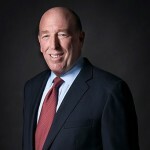 Steven D. Goldstein is a proven leader who has held executive positions with leading global brands, such as American Express, Sears, and Citigroup, as well as several early-stage enterprises. He currently works in the private equity industry as a Senior Advisor with the consulting and advisory firm Alvarez & Marsal, serves as Chairman of US Auto Sales, serves as a Senior Advisor to Milestone Partners and an Industrial Advisor to EQT Partners (a global private equity firm based in Stockholm). His forthcoming book, “Why Are There Snowblowers in Miami?“, will be available in Sept 2016.